Sunday, I made it out into the near-60-degree (!!!) weather to enjoy another cycling outing with friends. Yes, friends of the spoked wheel, spring will come. I am sure of it. The warmer weekend weather renewed my faith. 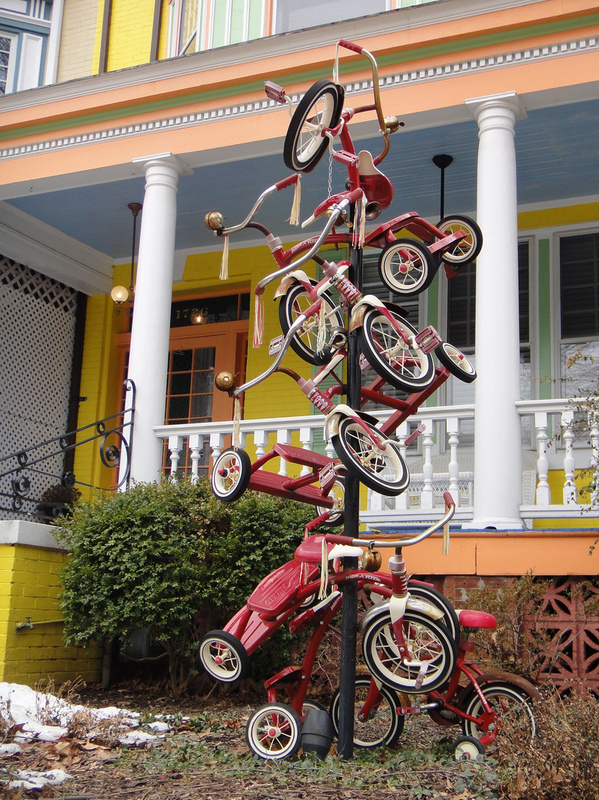 During our ride, I spied this amazing tricycle sculpture off of Park Road in Mt. Pleasant. Apparently, it’s been there for years, but since I rarely pass through Mt. Pleasant, I hadn’t seen it before. I think there are about 8 Radio Flyer Trikes in this piece (no brakes!). 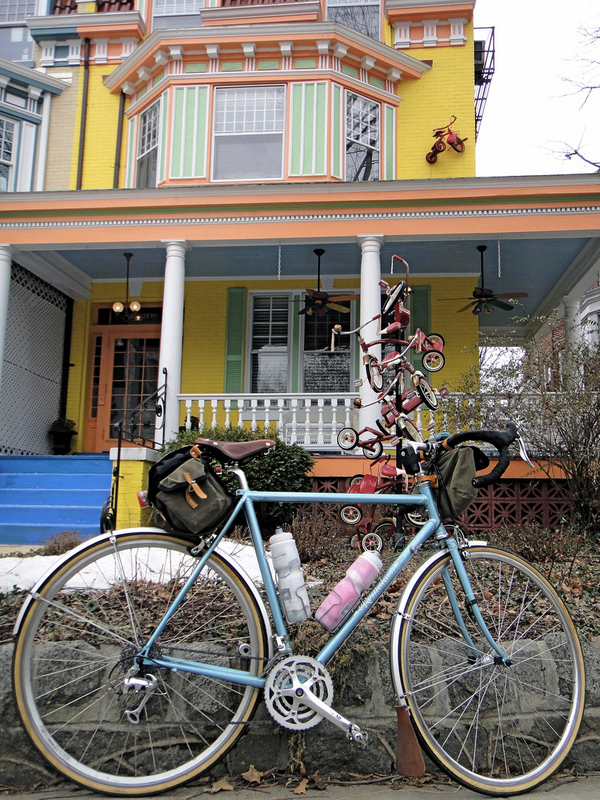 I thought the Romulus would look great by this house so I set up a bike glamour shot. How do you like the trike they affixed to the second floor? Who lives here, I wondered. Trike collectors? Bike riders? Sculptors? Crazy people? I don’t know, but I love what they’ve done with the place. It was a beautiful day to be out on the bike. It felt great to ride sans jacket and lobster gloves. So freeing! It also makes it easier to take pictures. The warmer weather whet my appetite for the spring brevet series, too. I. Love. Spring. Brevets. my cat sitter lives in one of the apartments in this building! What a cool place to live! I didn’t know the house was broken up into apartments. I have a crush on this house :)!! I love that house too!! always meant to take and post a pic of it… glad you did!